This was quite a few years ago already. And while the student in question did not use that exact phrase, I don’t think he’d disagree. But let me give the background. As you’ll know if you have read other parts of this blog, I do have a strong sense of a philosophy underlying traditional training, and I try to teach in accordance with it. I am also respectful of the style/organization of which I’m a member, and I ask my students to meet that organization’s requirements in terms of learning a code of ethics and certain other tenets. Yet I almost never talk about philosophy during class, and I don’t think it’s necessary. I believe the important philosophy is embedded in the practice. Further, I don’t think a student needs to know or embrace any particular philosophy, so long as they meet the practical requirements of working out in my dojo. If they can do that, I believe, the philosophy will seep in through their pores. If it doesn’t — their loss. Those requirements include such basics as showing courtesy and respect to instructor and students, following the rules and rituals handed down by the tradition of our style (they’re not excessive), doing what you’re asked to do during the workout to the best of your ability, keeping talk and questions to an absolute minimum during the workout (but questioning as much as you like outside class), cultivating focus and concentration… Really, that’s about it. Train with intensity if not reverence; develop a respect for what you’re doing and the people you’re doing it with. Sometimes I wonder whether I should talk more often and more clearly about philosophy to my students — usually when I see people “not getting it” — and I’ll resolve to do so. But it tends to go by the wayside because, frankly, we’re too busy training. The exception happens when there are students in class who aren’t working hard, who are disrupting training or in other ways going against dojo practice. Sometimes I will bring the class around while they’re catching their breath, and talk about philosophy a bit, directing it toward whatever the problem may be. Even then, it’s only after trying a simple, direct approach with the students, such as asking them to “train, don’t talk,” or reminding them about etiquette — or having an assistant instructor remind them. Now, back to that lost student. He had some experience in another art before he joined my school, and like many people who join a new school or style, he had trouble letting go of old ways. This is understandable. However, this fellow — give him credit — was enthusiastic, wanted to earn rank, and even — after a year or so — announced his plan to get a black belt and teach within our style. So after a good long year, I pressed him harder to begin using our terminology, bring his techniques to our standards as best he could, and make an effort to perform drills as I asked for them instead of as he might have done them at his old school. And I pressed him, as I pressed everyone, to work out with his partners instead of talking and instructing his way through class. One evening when far too much talk was going on, when this fellow in particular was resisting corrections on a drill and instructing his partner in how he would have done it at his old school, I called the class around and asked whether everyone knew the story of the empty cup (that old standby for traditional martial artists). Many did not know it, so I told the story. When I reached the punch line, “If you want to learn anything new you must empty your cup,” there was a loud, derisive snort from the fellow in question. I admit I was surprised. I’d expect polite disinterest, polite interest, puzzlement or understanding, nodding or furrowing of brow, perhaps a question — but derision? The story is about having an open mind, about not drowning out new input with your own noise. One can read it as shallowly or deeply as one likes, but it hardly seems controversial. It was hard for me to resist arguing, but I had to let it go. Those of us who believe in the value of what we teach and how we teach it — we “Zen evangelists” — believe everyone would be better off if they learned our favorite lessons. But often we must accept that those who seemingly need the lessons most, may be least likely to stay around and get them. There’s no forcing it; we’re dealing with free North American adults. And after all, perhaps the lesson was for me. This entry was posted on April 9, 2010 at 10:05 pm and is filed under martial arts, philosophy, teaching, training with tags dojo, ego, empty cup, respect, zen. You can follow any responses to this entry through the RSS 2.0 feed. You can leave a response, or trackback from your own site. Touche, Its all too familiar story especially in our consumer driven society. Yeah, we have to always remember, people are free to come and go. I want to express my total agreement with the experience you have lived. I have lived sometimes very similar situations, therefore I understand what you’ve told in your note. If you let me leave a friendly comment, it is just to go through with your conviction and let those who want to further understand the way that O´Sensei tried to leave us at the end of his time: the real Art of Peace. Oh by the way, can You allow me translate your article just for share whit my group and put it in my website? All with your credits of course. 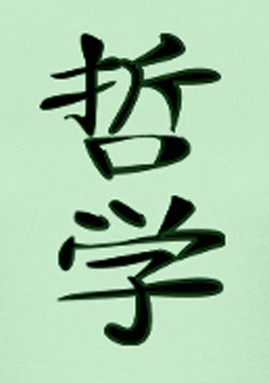 If not, don´t worry, thanks any way, the idea is feel like a “big family”, since O´Sensei said!. Gustavo- Thank you for visiting and leaving a note. You are welcome to translate this for your students if you like, so long as you send me a link when you post it. So I can practice reading Spanish (easier to do when I already know what it’s supposed to say 😉 ). This story speaks to an all too common occurrence in dojo all over the country. I have seen it at my school as well. People who acquire knowledge from one system sometimes find it impossible to let it go, or feel as if they can boost their ego by suggesting ‘better ways’ than their current instructor. You did the best you could to handle the unwilling student, but he decided it was better to have his own way then to improve. Thanks. Yes, it’s tough for people with experience to integrate themselves into new systems. And, too, people with no martial arts experience, but strong opinions about “philosophy,” can sometimes be unwilling to go deeper than simply collecting techniques or getting some exercise. Don’t think you lost a student here. You never had him to begin with. We all see guys and to a lesser extent girls like him. Disrupting class as it is not what they would do. Reality is they can’t hack the training but won’t admit it. Ah the EGO. I like the fading away ploy they use until you meet outside the dojo and they seem embarrassed to meet you and tell you ” I’ll be back next week” and give a load of reasons why they did not go to class. Of course they never do and if you live in a small city like I do you meet them over and over and each time it’s the same until they avoid you like the plague. Not everyone has the potential to grow and leave things behind so it’s no great loss when they go. Don’t think they know what the cup is but irony is that when they meet new people they tell them all about studying martial arts and how great it is. There must be millions of suits in closets all over the world from people who did a few weeks/months with no cup!! But the joy when you find one who is willing and able to empty the cup and train with a beginners mind makes up for all the time wasters. Mike – I think of all those uniforms sometimes, too. I once saw a kayak tied to the top of a car using white belts! And I have several people who run the other way in the local grocery store. But you’re right- it’s all worth it for the genuine students. It seems to me that if you’re signing up to learn something from someone, it makes sense to do it their way. Otherwise, how are you going to learn it? Rick – Thanks for stopping by, and for your comment. Yeah, I would have thought the same. But it’s surprising how many people don’t think that way. They figure they’ll sign up, pay their fee, then pick and choose what they want from the class. They’re the “customer” after all. – Fortunately, most people with this attitude fade away pretty quickly. A few get interested in what’s being offered and come around. That’s always nice, but you can’t count on it. Well you can’t train one’s ego. A narrow minded person was never welcome in this field of arts. In my far too many decades in Aiki I have, sadly, met far too many full cups. They *always* profess undying loyalty to the Nakayamakai, wish to sign our seigan early and shortly thereafter vanish like meteors from an August sky. 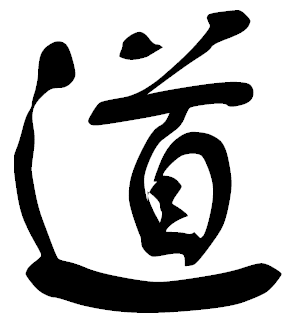 Some simply stop all martial practice, some go on to another less demanding discipline and a few seem to find a peculiar joy in adding my name and our organization to their boasts of extensive in depth studies in Budo! Most peculiar, perhaps understandable but it makes me wonder what kind of beveridge they had in their teacup when they arrived! Brett– thanks for that! I’ll go look. I appreciate getting linked by Aikido Journal; it always generates some thoughtful discourse.